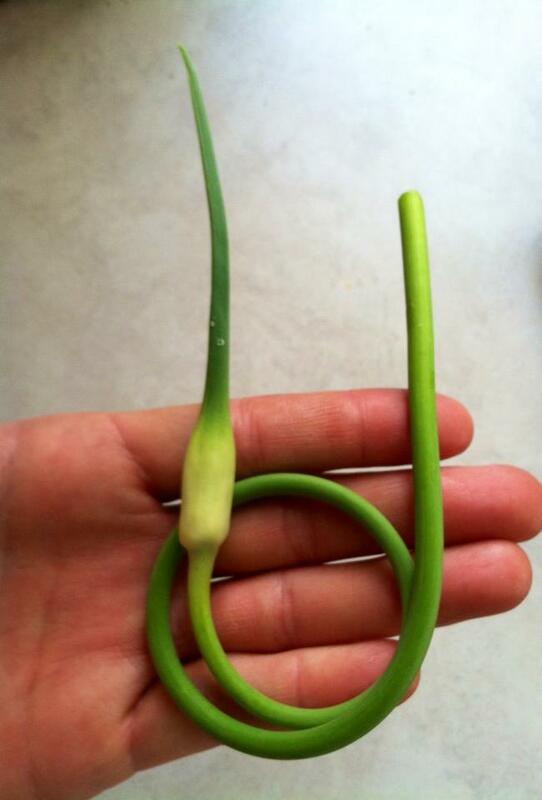 Just a few years ago, garlic scapes were not so easy to get your hands on, unless of course you got them from your own garden. 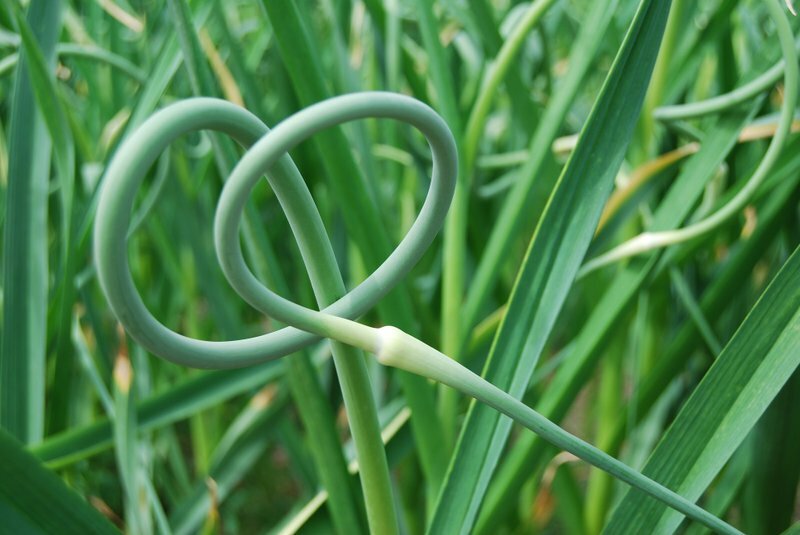 Many Farmers used to discard the scapes from garlic. As they’ve grown in popularity, farmers realized they should be selling them, not composting them, and now they’re plentiful at farmers markets and make their appearance around the middle to end of June each year. When the garlic scapes are still in full curl, they are tender and succulent. They have a garlic taste that is milder than the garlic’s cloves, and have a tender snap of just-picked asparagus. You can prepare garlic scapes pretty much any way you'd use asparagus--and more. And of course they are WAY healthy for you! The garlic scape is an allium delicacy that is highly prized and traditionally used in Southern and European cuisines, along with Middle Eastern, Korean, and other Asian cuisines, which all value its subtle garlic flavor and tender-crisp texture. 1. Add the beans to the bowl of the food processor and pulse 3 or 4 times. Add the garlic scapes and olive oil and process for about 30 seconds. 2. Add the lemon juice, sea salt, and black pepper and process until the dip is thick and creamy. If the dip is a little dry, add 1 to 2 more tablespoons of olive oil and process. 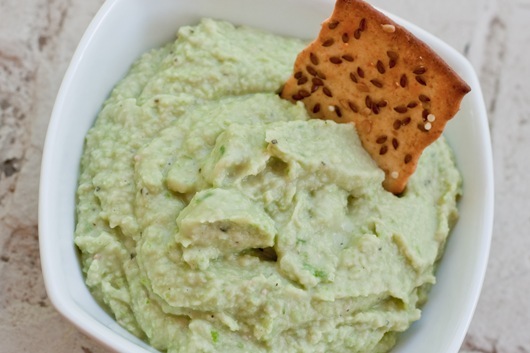 Serve with raw vegetables, crackers, bread, pretzels, etc. 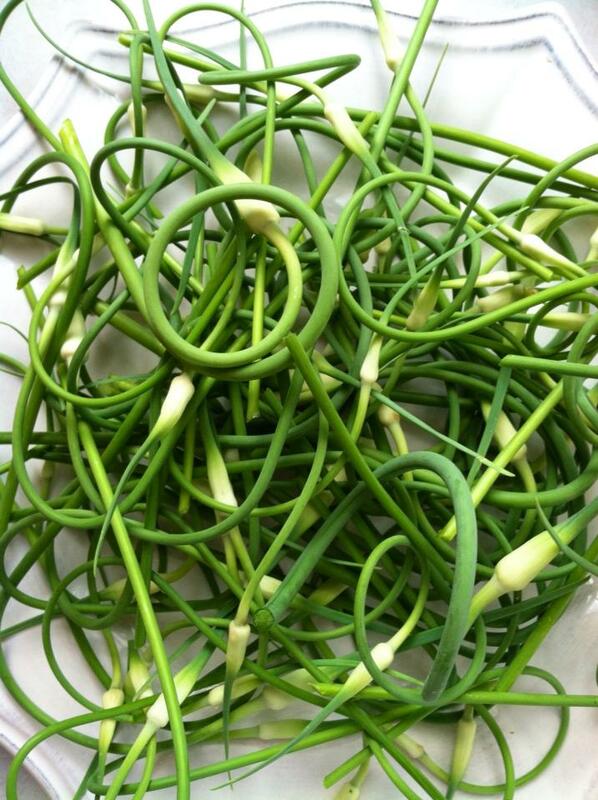 Variations: You can also substitute 5 or 6 fresh garlic cloves in place of garlic scapes. If your scapes are too spicy, you can reduce the amount or add some flat leaf parsley to balance the flavor.